New shirt design that I just got posted today; Truth. Based on my composite style of design the shirt depicts some different elements and the word Truth. Hope you enjoy. I was recently contacted by Damien Mason who asked for permission to post one of my works, Revolution, on a blog he hosts called Little Wonders. Little Wonders is a compilation of inspirational works of the highest caliber found on RedBubble. I very graciously accepted and a post for my print has been made. Damien Mason is a very talented illustrator and I would recommend anyone to check out his work via the link listed above. 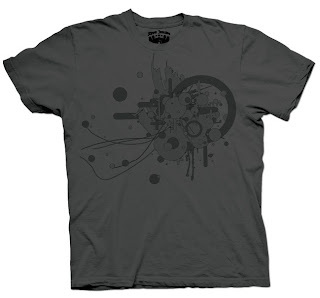 New shirt design available for sale at the DesignbySolo Shop. Modeled after an iron Ressi Men style mempo (Japanese Samurai battle mask). 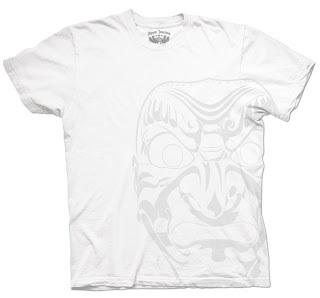 The mask design is from the Momoyama period in Japan and was employed by the samurai to inflict debilitating fear upon enemies whom they faced in close combat. The design is off-white on white to simulate the face emerging from the mist or fog. Got my new Bubblesite Storefront up and running today courtesy of RedBubble. Here you can view some of my apparel and art designs which are available for purchase. Check it out here. 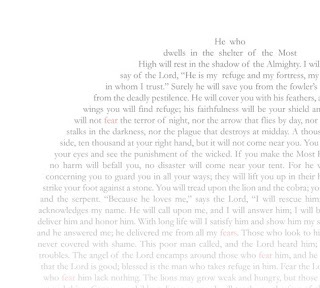 This is a design-for-screen, typography based work that I did for a competition a month or so ago. The premise for the competition was to create a design that described fear in some way. 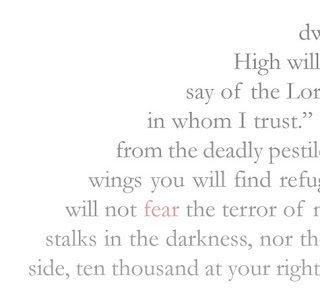 This is a compilation of quotes relating to fear from the NIV Bible. Here are some recent logo designs that I have done shown in the manner which I usually present to clients. Logo designs are for Limelight Productions and Pertuset Car Wash, respectively. View more logos that I have designed here. I am sorry that my posts have been non-existent for a while, but that doesn't mean I haven't been working. Here are some shirt designs I did for a company. The first is based on the film Cry Baby with Johnny Depp, the second is based on the anime show Naruto, and the third is an original design of my own.